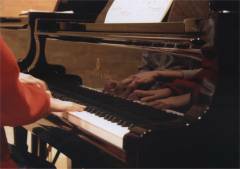 In 1982, Stephen Power organised the Granta Suzuki Group which in turn evolved into Cambridge Suzuki Young Musicians (CSYM). CSYM is a constituted non-profit association which aims to provide musical education for children with a commitment to excellence through the educational approaches of Suzuki and Kodály. Its activities provide support for children, parents and teachers in the planning, organisation and hosting of concerts, workshops and fundraising events. Besides committee members, many other parents make practical contributions to the work of the group, particularly at special events such as concerts and workshops, contributing time, energy and skills. The CSYM relies on, and is strengthened by, the involvement of parents through its 'Friends of the Committee'. Research into possible new teaching premises in Cambridge.